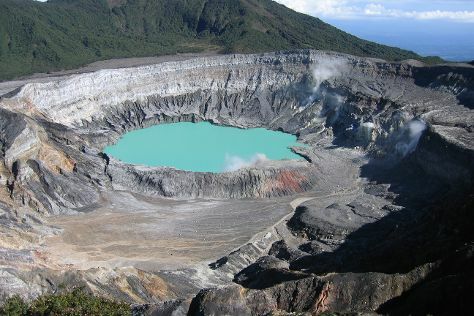 La Fortuna de San Carlos is known for nature, adventure, trails, wildlife, and theme parks. 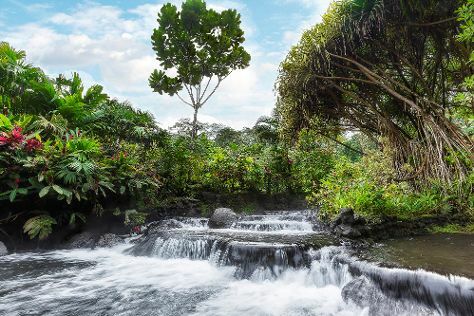 Your plan includes some of its best attractions: witness a stunning natural landmark at Tabacon Hot Springs, relax and float downstream with a rafting and tubing tour, view the masterpieces at Onirica Art Gallery, and admire the sheer force of La Fortuna Waterfall. Newcastle upon Tyne, UK to La Fortuna de San Carlos is an approximately 22.5-hour flight. Due to the time zone difference, you'll gain 6 hours traveling from Newcastle upon Tyne to La Fortuna de San Carlos. Cap off your sightseeing on the 23rd (Fri) early enough to go by car to Monteverde. Start off your visit on the 23rd (Fri): tour the pleasant surroundings at The Bat Jungle, then kick your exploration up a notch at some of the top local zipline courses and adventure parks, and then look for gifts at Souvenir Rosewood. Keep things going the next day: look for gifts at Hummingbird Gallery and then look for all kinds of wild species at Monteverde Cloud Forest Biological Reserve. To find more things to do, other places to visit, photos, and more tourist information, go to the Monteverde travel route planner. Getting from La Fortuna de San Carlos to Monteverde by car takes about 3 hours. Other options: take a shuttle. Finish up your sightseeing early on the 25th (Sun) so you can go by car to Vara Blanca. On the 25th (Sun), take in the dramatic scenery at La Paz Waterfall Gardens. On the 26th (Mon), you'll have a packed day of sightseeing: tour the pleasant surroundings at Zoo Ave and then contemplate the geological forces at Poas Volcano. For photos, where to stay, reviews, and other tourist information, read our Vara Blanca online trip itinerary builder . Drive from Monteverde to Vara Blanca in 3 hours. Alternatively, you can take a bus. March in Vara Blanca sees daily highs of 34°C and lows of 21°C at night. Wrap up your sightseeing on the 26th (Mon) to allow time to travel back home.